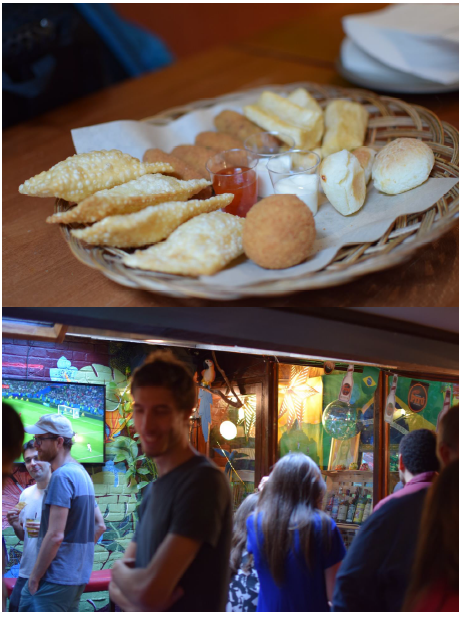 Apart from celebrating our culture, the main aim of this happy hour was to strengthen the links among Brazilian research students and research students involved or interested in Brazilian issues. Despite being based in the same departments, and sometimes even in the same floor, many Brazilian students/staff do not know each other. New opportunities for collaborations could come, but due to poor networking, it does not happen. This Graduate School-funded event gave new students and postdocs the chance to meet each other and interact with senior members of the Forum. 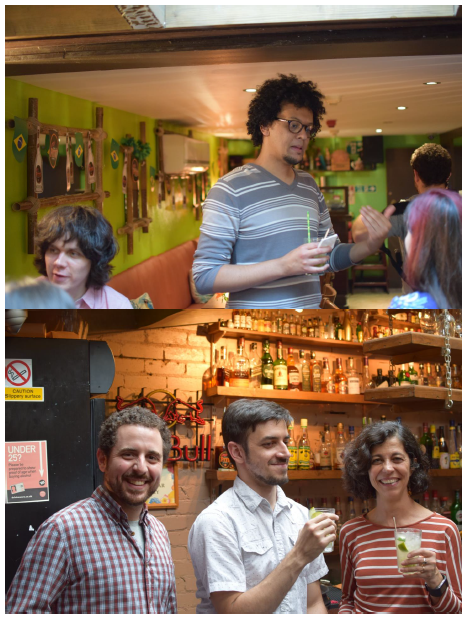 The president of the IC Brazil Forum, Dr Vania Braga, took part in the happy hour, which was particularly important to present initiatives of the Forum to potential new members, and to share our experiences at Imperial. The feedback we received from those who came along was extremely positive. 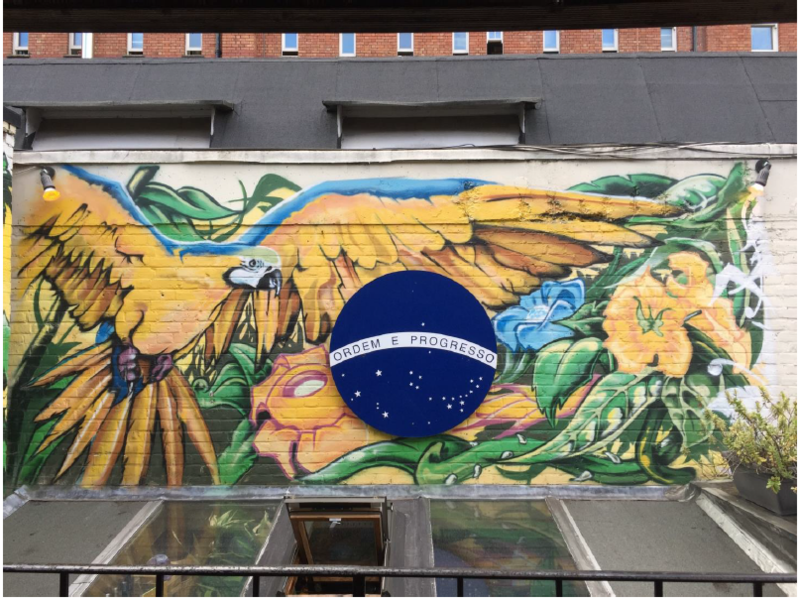 The participants mainly appreciated the opportunity to meet and network in a friendly environment with Brazilians students/staff and researchers interested in Brazilian issues. They also suggested to have more get-togethers similar to this one, for example every 2/3 months. We believe the event provided the first step to create a more integrated community at Imperial and, hopefully, collaboration among different areas in order to develop interdisciplinary researches. And for that, we are extremely satisfied. 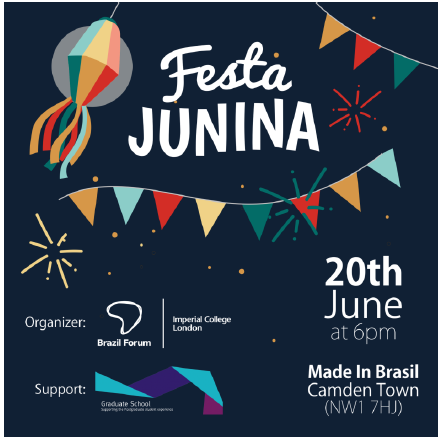 We are grateful to the Graduate School for providing funding to the ‘Festa Junina’. If you are interested on any tips on how to organize an event to integrate students/staff, feel free to contact us (l.dos-santos-de-souza14@imperial.ac.uk).